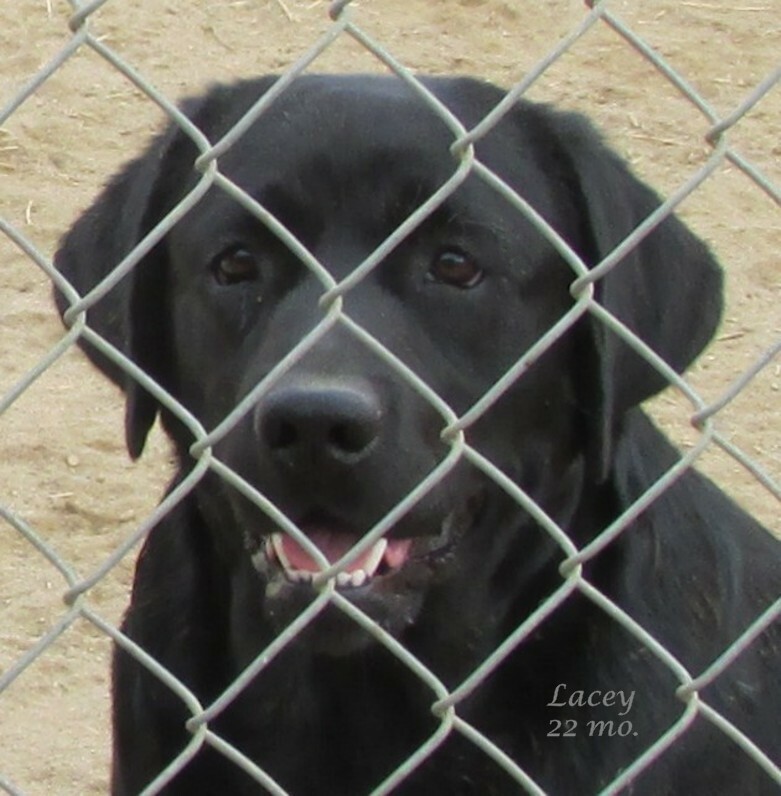 Lacey one beautiful black Labrador Retrieve and she a line bred from the very best of English and American show lines. Her mom Abby came out of Am. CH China Ch. Wiscoy's Yogi and Servant's Vanquisher of Wells, both bred from the most impressive English and American show lines. The two line breeding from England that you will see in the pedigree are BISS CH. WEATHERTOP EL NINO and from her dad King is a import form England and he is AM CH Langshott Gale Force From Kimvalley, and note he earned his American show title with AKC and his father is a famous English show champion in England, his name Eng. CH Sandyland Gad-About.... Her lines fully of amazing Labradors and her pedigree a must to see. DNA tested Clear as "Normal".